For many medieval Christians, the most powerful physical reminders of the New Jerusalem that they would encounter were the great cathedrals and churches of the medieval era. Nowhere would this have been more the case than at the Church of the Holy Sepulchre, in Jerusalem itself. The Church of the Holy Sepulchre, built on the alleged site of Christ’s crucifixion, is an imposing, sprawling building, dating in its current form to 1149 CE. It was built to bring together under a single church roof the chapel where Christ’s tomb was supposed to have been located; a chapel on Golgotha, the hill on which the crucifixion was thought to have taken place; and another basilica on the site that Constantine’s mother Helena was reported to have found the true cross in 320 CE. 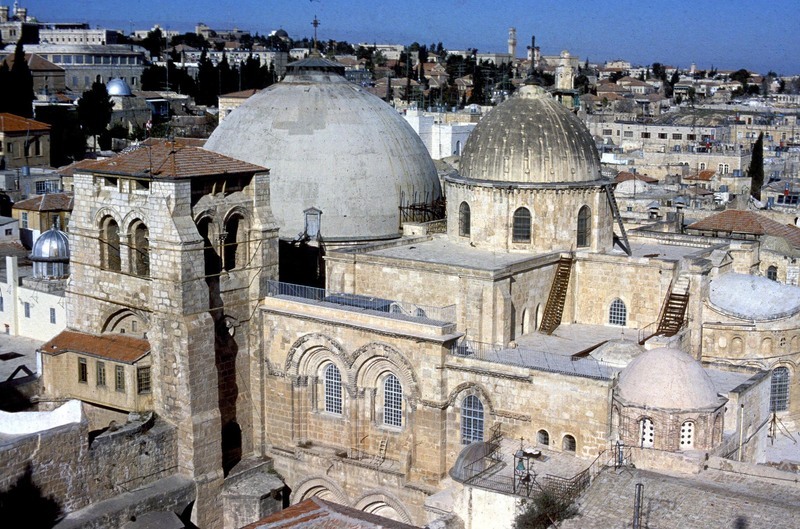 A constant source of acrimony between Christian Crusaders and Muslim Arab residents during the medieval era and beyond—as well as between the four Christian dominations guarding over it—the Church was and is still considered by Christians to be the most holy location in the world and the climactic end point of any pilgrimage.